When untreated waste from oil refineries, thermal power plants, pesticide factories etc. is allowed to enter the environment, it affects every constituent of our biosphere – water, soil, air and all living organisms. And, only if we know the type and the quantity of these substances or contaminants, can we protect the environment and its inhabitants. Soil testing refers to the process of carrying out a series of tests in order to determine the fertility and/or the pH value of a soil sample. 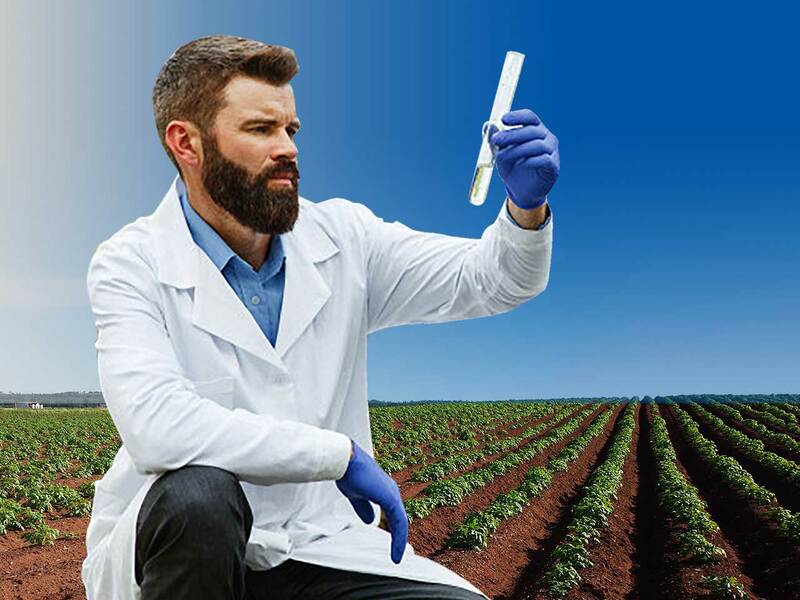 While a fertile soil sample contains all the vital nutrients including nitrogen, phosphorus, and potassium (N-P-K), the pH value indicates the sample’s acidity or alkalinity. Nutrients in the form of fertilizer to be added to the soil. Industrial wastes in the form of harmful gases and chemicals, excess fertilizers, agriculture pesticides are some of the most common soil contaminants. In addition to these, leaching, soil erosion, mono-cropping, continuous cropping and change in the pH of soil also decrease its fertility and consequently, its yield. Soil testing is employed for quick characterization of the inherent fertility status of soils and predicting the nutrient requirements of plants. A fertile sample of soil contains macro-nutrients, including nitrogen, phosphorus, and potassium and micro-nutrients like calcium, magnesium, sulfur, iron, zinc, copper, boron, molybdenum, nickel, etc. Soil testing, as already mentioned, helps to determine the fertility or pH value of a particular sample. With this information, one can easily find out the type of crops that would grow the best on a particular type of soil. Soil testing advocates the balanced and judicious use of fertilizers, which in turn helps to reduce the overall cost and mitigate the consequences of global warming. More desirable results can be achieved by adopting proper soil sampling techniques. A soil test that has been carried out with care, properly analyzed and acted upon might be the best investment moving forward, especially if you have under-performing fields. Other than agriculture, soil testing is also used in construction projects in order to examine the chemical and geotechnical properties of a sample, and determine its strength, density, compaction, contamination, sand content, among other parameters. This helps to assess the the ability of a particular type of soil to support the construction structure. MICROLIT offers the perfect solution in the form of its high-precision liquid handling instruments to test various kinds of soils with great ease. Its Bottle Top Dispensers and Micropipettes facilitate quick preparation of samples that are crucial for accurate and precise soil analyses. MICROLIT’s Bottle Top Dispensers include MICROLIT ULTIMUS, MICROLIT BEATUS and MICROLIT SCITUS. These have been designed with ergonomics and intuitive handling in mind and exhibit excellent chemical compatibility. MICROLIT’s Micropipettes include MICROLIT RBO Single Channel Variable Volume, MICROLIT RBO Single Channel Fixed Volume and MICROLIT RBO Multichannel (8-Channel and 12-Channel). These ergonomically designed instruments facilitate remarkable user experiences and help achieve accurate results when it comes to sampling during determining the fertility and/or the pH value of soil. Figuring out the pH value of Soil is the first step of any analysis of soil samples, and when doing that with Water and Salt method, we need both, the Bottle top dispensers as well as the Micropipettes for sampling and preparing solutions. When it comes to N-P-K analysis as well as figuring out the fertility level of principal nutrients (Magnesium, Calcium, Aluminum etc), experiments such as Acetate method, KCL method, and NH4CL method are done which involves again the use of Bottle top dispensers, burettes as well as pipettes. Soil organic carbon is the basis of soil fertility. It releases nutrients for plant growth, promotes the structure, biological and physical health of soil, and is a buffer against harmful substances. When we require to obtain the Total Organic Carbon levels in the soil through Dichromate Oxidation with Heating Method, Bottle Top dispensers as well as Burettes are required. When it comes to industrial use, a micro pipette can be used to measure clay and sand content in the soil, following the “micro‐pipette”; method.